TL;DR: You are faced with a few thousand hectares of rainforest that you know harbours one or more orangutans that you need to track down. Where, how, and why do you start looking? About a year ago I was doing a lot of drone related work and was presented with the following problem: Would it be possible to use a drone to fly above the Bornean jungle and search for tagged orangutans? Update: a writeup of the event by Lorraine is here. 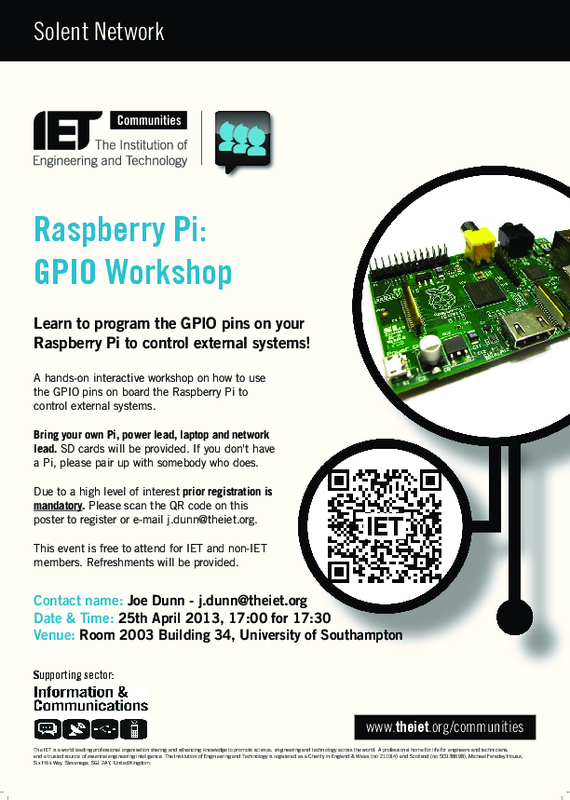 A shot post to say that I am co-organizing a Raspberry Pi workshop with The IET Solent Branch at the University of Southampton on 25 April. For personal reasons I cannot make it myself that day but do go along if you want to learn about how to use the GPIO pins on your Pi board! Btw, if you can’t make it but live in the area, do checkout somakeit.org.uk. Recently launched and we now have a space!